You can take the guesswork out of the summer display with this great little mix of trailing petunias. 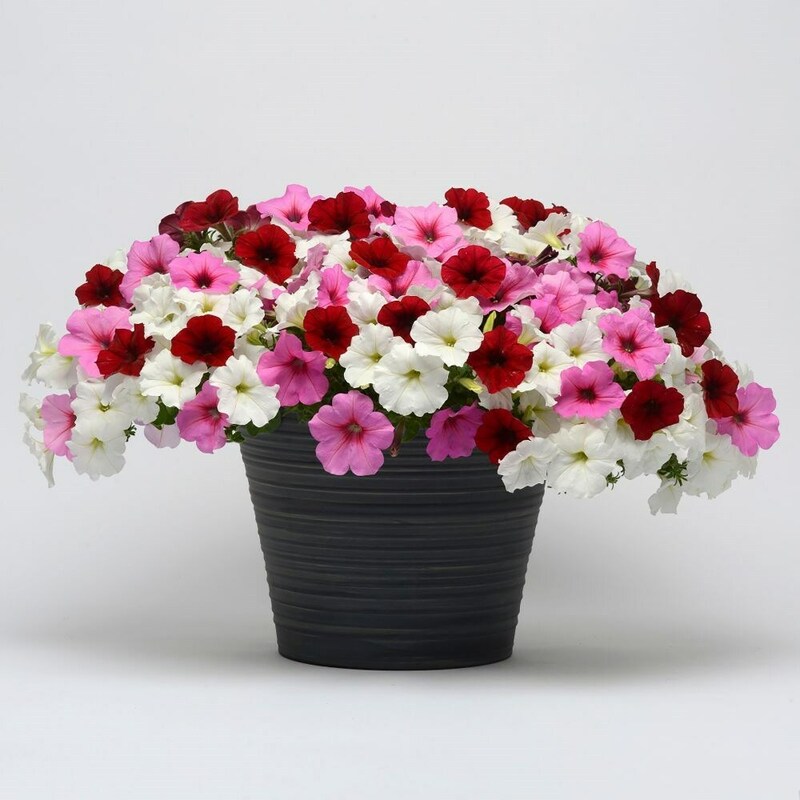 It's a luscious blend of red, pink and white, and it will fill your pots and hanging baskets with a succession of colour throughout the summer. Please note that the pot in the photograph is not supplied.